ncore specialises in modern, purpose-built, private care homes. The growing family of homes includes Great Oaks in Bournemouth, which was crowned the winner of the Dorset Building Excellence Awards 2018 for Best Inclusive Building; and Fairmile Grange in Christchurch, (in partnership with the Royal Bournemouth and Christchurch Hospitals NHS Foundation Trust), which has been awarded Top 20 Recommended Care Home in the South West 2018 by Carehome.co.uk. Encore places significant importance on the activities programmes in each of its homes, and believes it is a vital part of the care that residents receive to improve the mind and encourage socialisation and stimulation. Entertainers and other local groups are regularly invited into the homes for dance and music sessions. Maria, daughter of Encore resident. Our third, state-of-the-art care home in Dorset. † correct at time of print. Season of change Spring is in the air and the once bare trees are beginning to show signs of life. Flowers are ready to bloom, trees are blossoming and the birds that left for warmer climes last year are now returning for summer. It’s my favourite time of year – full of promise. But the weather is not the only big thing changing this season. Local people in Bournemouth, Christchurch and Poole will see their local councils cease to exist as we know them. Instead on 1 April, a new Unitary Authority called BCP will be responsible for looking after the affairs of our local area. Behind the scenes local councillors and council staff from our three towns have been working hard to ensure the changeover is as smooth as possible. We’ve covered what’s been going on in the background in our article on page 6. May 2nd will see local elections take place to elect the councillors that will take the new council forward. Many of the seats are expected to be hotly contested because the new single authority for Bournemouth, Christchurch and Poole will have less councillors than the previous three councils. Over the next few weeks, we’re sure to get lots of election material through our doors - what are your local candidates saying or promising to do if they get elected to the new council? Polling stations for local elections are traditionally not as well attended as general elections but perhaps this time, we may see a higher turnout as we all have the chance to vote for the people that will help shape our area. There will also be additional Parish and Town Council elections in Christchurch. With spring in the air, the outdoors awaits. 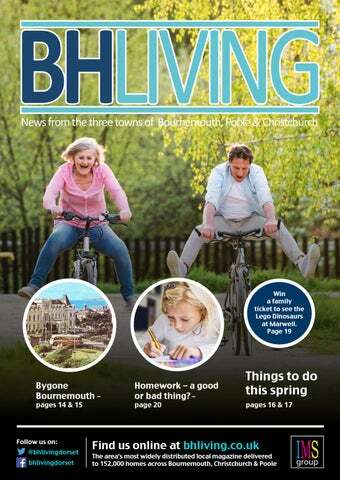 Whether it’s gardening and wildlife tips (page 22) or local events you’re looking for this spring (pages 16 & 30), this edition of BH Living has something for everyone. We all like a bit of local history, don’t we? Head over to page 14 for some interesting bygone pictures of Bournemouth - there’s even a chance to win local historian John Needham’s book. Wishing you all a happy and healthy spring! If you’re a regular shopper at Castlepoint, you’ll have noticed the extensive work that’s been taking place in the car park. This is all part of a five-year plan to enhance customer parking. We spoke to centre manager, David Pickett, to learn more about the work being done, and find out how it will benefit customers. So David, could you briefly explain the works being done at Castlepoint? Sometimes these projects can take a long time. When will the work be finished? The works to the car park and walkway will be carried out in six phases over a four to five-year period. Completion is scheduled for early 2023. Each phase is expected to take approximately nine months to complete. This will enable Castlepoint to remain open as usual throughout, and minimise disruption to customers and retailers. The existing car park is being reconstructed and will boast improved lighting and a cleaner, airier environment. However, the overall layout of the new car park won’t change from the original plans. The next key milestone will be spring 2019, when stage one of the walkway works and phase one of the car park are due to complete. Not all of our readers will be aware of the history of Castlepoint. Why are the changes necessary? Are there any other plans for improvements in 2019? The car park and walkways had design and construction defects which appeared shortly after Castlepoint opened. These are now being rectified under the terms of the original building contract. I should point out that the car park and walkways have always been, and continue to be, completely safe. The works to the car park and walkways are the main focus in terms of the physical environment of Castlepoint. But there are also lots of exciting events and activities planned for 2019. £31k was also provided by the Friends of Hamworthy Park. Work to build a new paddling pool in Hamworthy Park commenced in February this year. The work is set to be completed before the summer. The park also boasts climbing frames, a zip wire, basketball hoop, and a fitness station. A significant £1.2 million investment is refurbishing a number of local play areas. Six schools and over a hundred children were asked for feedback, in a bid to understand what’s really important to local children. A total of 15 play area sites are set to be refurbished or completely renewed, to help ensure a lasting legacy for future generations. The project also identified nine small and poorly used sites, which will be decommissioned and returned to public open spaces. These include: Priory View, Campbell Road, Endfield Road, Darwin Ave, Melbourne Road, Bellflower Close, Saffron Drive, Vetch Close, and Upper Gordon Road. Bournemouth town centre set for major improvements The landscape of Bournemouth town centre is set to get a major shake-up this year, with several big developments planned. Malmaison Hotel Work is well underway on a luxury new Malmaison Hotel, on the site of the old Belvedere Hotel on Bath Road. Malmaison is the sister brand to Hotel du Vin, which already has a successful hotel near Poole Quay. The new 100-bedroom hotel will include a Chez Mal bar and brasserie, gym and swimming pool, as well as meeting and events rooms and a rooftop bar and terrace, which will allow guests to take in the wonderful seafront views. When? The hotel is expected to open towards the end of this year. A £12m development project will see an underused car park turn into 46 new one, two and three-bedroom apartments. The St Stephen’s site has been earmarked for residential use in Bournemouth Council’s Area Action Plan for several years. As well as providing high-quality homes for local families, the project will also return funding back to the council for investment in future regeneration projects. Key facts The 46 apartments will be split into 28 and 18 flats across two multi-storey blocks. Traditional external materials, such as brick, will be combined with contemporary architecture. This is to complement, rather than detract, from the neighbouring St Stephen’s Church. The mature trees along the boundary of the site will be retained, to act as a natural buffer between the apartment blocks and neighbouring properties. There will be 36 parking spaces for residents and visitors. This will include two disabled spaces, one motorcycle space and 52 bike spaces. When? Work is scheduled for completion at the end of 2020. Bike share scheme to start in May Bournemouth, Christchurch and Poole councils have teamed up with bike share operator, Beryl, to launch a ‘Boris bikes’-style scheme across the three towns. In May, fifty new bikes will be distributed across key points – for example, bus and train stations, shopping areas and tourist attractions. By the summer, it’s planned that around 1,000 bicycles will be available to hire. All users will need to do is download the Beryl app, which will give them the choice to pay per ride, or sign up for an annual membership. The app will let users know the preferred locations to leave the bikes (“Beryl Bays”), and use their smartphone to quickly and easily scan their bike before use. The cost of using these bikes is currently unknown, but is said to be lower than local bus fares. The benefits of Beryl Beryl bikes are fitted with ‘Forward Projection Technology’. This is a bright white light, coupled with green laser projection. Forward Projection Technology is more effective than standard bike lights, increasing the rider’s visibility by helping them be seen in blind spots, and forewarning pedestrians of their presence. Beryl users can feel safe and secure in the knowledge that they can be seen by other road users and pedestrians. BCP – the challenges for our new authority By Brian Case In February 2019 the BCP Shadow Authority (this is the authority that has been operating in the background to make sure that the new BCP council hits the ground running), published its budget for the new BCP Council which comes into being on 1 April 2019. Over the past decade and beyond, funding from Westminster for local services has been drastically reduced, putting pressure on local councils to make savings and find additional sources of income to plug the gap. One of the main reasons the three local councils have become one is to save money. In theory it will make our services run more efficiently and deliver some of the vital savings required. The task of creating the new BCP authority was enormous. They had to do something that has never been attempted in the UK before: bringing together two existing unitary authorities, one district council, part of Cllr. Ray Nottage a county council, and four budgets all into one – and they had just ten months to do it in. This was recognised by the Chairman of the Shadow BCP Council, Cllr. Ray Nottage (pictured above) when he thanked all involved for their hard work to ensure our services continue seamlessly from day one of the new council. The process had, and still has various challenges. There was opposition to the creation of the new authority from some councillors. Some issues still exist, with disagreement among councillors surrounding the council tax harmonisation system adopted for the three towns, to ensure we all eventually pay the same rate. With local council elections due to take place on 2 May, there will be plenty of debate to come. Ultimately, we – the local voters – will get to decide on many of the issues being discussed. Here’s just a snapshot of some of the numbers and figures our new authority will be dealing with, to give a brief insight into where the £2m per day budget will be spent locally. John Reid & Son Ltd (REIDsteel) has applied to Christchurch Borough Council for outline planning permission for the development of 170 new homes on its four acre site in Reid Street. The company will be relocating to a new facility, and wants to leave a legacy of what it considers to be much-needed housing. Listening to feedback given on their initial proposals, as well as suggestions from professional advisors, the planning application is for a mixture of two and threebedroom houses, and one and two-bedroom flats with access roads and parking. The goal is to move heavy industry away from the town centre, cut congestion around Reid Street, reduce noise and disruption for neighbours, and significantly lower the company’s carbon footprint. At the public consultation event held last year, a questionnaire found that more than 60% of respondents were in favour, or strongly in favour, of the removal of industrial use from the site. They believed that housing would be the best use of the area, once REIDsteel relocates. What are your thoughts? Email editor@bhliving.co.uk to let us know what you think about the proposed changes. BCTC becomes official sponsor of New2Business Networking New2Business, the south coast’s only networking club for start-ups, held its first meeting on January 23 this year. Founded in 2015 by Marsham Court Hotel in Bournemouth, they provide support for new business owners and trainees of larger businesses. New2Business has hosted free to attend, bi-monthly meetings since its creation in 2015. They partnered with the Bournemouth Chamber of Trade & Commerce (BCTC), to take on the uncertainties of Brexit. Jane Swift, Business Development Director at Marsham Court says they are “thrilled to gain the support and expertise of the BCTC”. Loganair launches two new routes to the Channel Islands from Bournemouth Airport Flights to Jersey and Guernsey are scheduled from April to October by Scottish airline Loganair – the carrier’s first operations from the regional airport on the South Coast. Jersey and Guernsey will be served by Loganair’s 37-seat Embraer 135 jet, with the Jersey flight time at approximately 45 minutes and around 40 minutes for Guernsey. As part of Loganair’s Summer 2019 schedule Jersey flights will be three times a week – Monday, Friday and Saturday, and once a week for Guernsey on Saturdays. Tartan tails Jonathan Hinkles, Loganair’s Managing Director, said: “Our two new routes to Jersey and Guernsey will make travel to these popular leisure and corporate destinations more convenient for passengers within Bournemouth Airport’s large catchment area. “This will be our first commercial presence at Bournemouth Airport and we look forward to our ‘Tartan tails’ being a regular sight over the South Coast.” Last year the carrier rebranded, with tartan tails for its aircraft and traditional tartan uniforms for cabin crew and ground staff. Growing regional airport Stephen Gill, Managing Director, Bournemouth Airport, which is owned and operated by Regional & City Airports (RCA), said: “We warmly welcome Loganair to our growing regional airport, where 35 destinations in 15 countries are being served. Gourmet Cruises 1 night away from £78pp Love food? Experience a true taste of France with one of our gourmet getaways, combining return sailings with a selection of meals on board and ashore. Hotel breaks 2 nights away from £121pp Enjoy a stay at some of our most popular hotels in Brittany, Normandy and beyond. All include return sailings with your car and breakfast at your chosen hotel. Brighter, warmer days, landscapes bursting with fresh new colours, the joys of spring are just around the corner. What better way to see in the new season than by taking a break together in France. Prices shown are per person based on two sharing. New bookings only. Terms, conditions and exclusions apply - see website for full details. Parley Optometrists have once again reached the finals of the highly coveted National Optician awards 2019, having been short-listed for no less than four awards Having undergone an extensive refurbishment and refit as well as becoming a leading referral centre for advanced screening, Parley Optometrists based near Parley Cross have all the hallmarks of an optical practice that is most certainly on the up. Having previously won two national awards for their technically advanced eye care, the practice has now been recognised and short-listed for four more awards at the forthcoming national Optician Awards held in Birmingham. Parley Optometrists made national headlines some years ago when it became one of the first practices in the UK to install OCT(Optical Coherence Tomography) scanning equipment. The scanner takes a detailed scan of the eye (similar to an MRI scan) which can then show the optician an indepth view of the eye. This can often identify early signs of a problem that might develop later, meaning action can be taken much earlier. The OCT screening equipment has proved to be a hit with patients with many feeling it gives them peace of mind. It’s possibly due to Parley’s continued investment in technologies such as these, delivering clear benefits to patients, that has resulted in their success at reaching the National Awards again. Proprieter Rob Jones, Senior Optometrist at the practice was understandably delighted to have reached the finals again; “We know that prospective and existing patients all have a choice about who they trust with the care of their eyes. We take the health of our patient's eyes extremely seriously and are passionate about giving the best possible service and treatment. By investing in, and keeping pace with the latest technology, we can continue on this mission. So far, our patients have given us a resounding thumbs up and return to us time and time again." "It's great to also be recognised at a national level for what we are doing and have achieved whatever the result at the finals, I'm delighted that Parley Optometrists are back in the news promoting healthy eyecare" As well as being selected for Technology Practice of the Year which celebrates pioneering technologically advanced optical practices across the UK, the ‘Delighted ’ Rob Jone team at Parley have also been s short-listed for Enhanced Optical Service award which looks at practices that go beyond the expected and also Practice Growth award, which highlights opticial practices that have experienced accelerated growth over the past year. One of Parley’s Contact Lens team, Lisa Pipe has also been shortlisted for Contact Lens Practicioner of the year in recognition of the excellent service she provides to Parley Optometrists contact lens patients. Latest designer frames from top design houses now in stock! Why electric cars are starting to turn heads. Recent figures suggest that electric cars are beginning to make more of an impact on new car sales figures, and that the UK government’s objective that half of all new cars should be electric or ultra-low emission by 2030 has helped to encourage the trend. Currently electric cars still account for a relatively small share of the new car market in the UK, but it is growing more quickly year-on-year. In 2014, electric vehicles accounted for just 1.4 per cent of new cars. But these figures are set to take off, as manufacturers release more electric models. Although the cost of initial purchase is often higher, benefits include free parking and much lower fuel costs, with 4,800 charging stations across the UK. 700 new points were added in 2018. If this growth rate continues, it won’t be long before charging points outstrip petrol and diesel stations. Further benefits include the government incentives. The plugin car grant means purchasers can receive up to £3,500 from the Office of Low Emission Vehicles (OLEV). Additionally, a further grant of up to £500 is available to contribute towards the cost of having a home charge point. There’s also a pertinent case for businesses to swap to electric cars, as an employee benefit. There are various tax benefits available, such as exemption from fuel duty and vehicle excise duty. They are treated much more favourably under P11d benefits in kind too. A typical car costing £30,000 could save the company car driver up to £10,860 of tax in four years. What are our councils doing to embrace electric vehicles? Locally, there are currently six rapid charging points in Bournemouth, a further five in Poole, and one in Christchurch, with local councils making plans to incorporate them in future decision making. Larry Austin, Service Director, Environment, Bournemouth Borough Council commented: “Bournemouth Borough Council recognises the benefits that the promotion of electric vehicles offers, and that ownership of electric vehicles and demand for charging infrastructure is increasing. In recognition of this, the council has been working closely with the Borough of Poole and Dorset County Council to provide a network of rapid chargers across the conurbation. “These rapid chargers were funded through a specific Government Grant from the Office for Low Emission Vehicles (OLEV), following a competitive bidding process. “To ensure that we have a coordinated network of charging points that will give residents, business users and visitors the confidence to use electric vehicles in the area, we are currently looking at options for expanding a public charging network.” Bournemouth, Christchurch and Poole join forces on April 1st to create the new BCP Authority, which has also stated its commitment to sustainable transport through the ‘BCP Local Transport Plan’. One of the main objectives of the plan is to “promote active travel and greener travel choices” throughout the conurbation. More details will be forthcoming once the new authority is installed and local elections have taken place. Travel News Hunger Hill improvements nearing completion If you live or work in Poole, you will have seen first-hand the disruption caused by the complete redesign of the Hunger Hill junction. Work began in early October last year and is still ongoing, with completion scheduled for May 2019. Two turning bans are currently in place: a left-hand turn ban for all vehicles from Hunger Hill Roundabout to West Quay Road, and a right-hand turn ban for all vehicles from Hunger Hill Roundabout to Towngate Bridge. These restrictions will be in place until 28 June 2019. The £11.7m scheme has been funded through Dorset LEP, with the aim to support future development – 5,000 new homes and 1,000 new jobs – in the Townside area, by improving traffic flow, adding new crossings and creating larger open spaces. As part of the work being done at Beale Place, Albert Road is closed at its junction with Old Christchurch Road until 9 March. It will also be closed from 1-17 May. Wider projects in the Townside area are set to continue until March 2020. At Gervis Place behind Beales, the loading area will also be suspended for all vehicles (except goods vehicles) during this time. A temporary traffic order prohibiting waiting and loading/unloading at any time is in force on Hinton Road at its junction with Beale Place until 31 May. Plans approved for new link road at Wessex Fields Bournemouth Council’s Wessex Fields scheme was backed by members of its planning committee recently, despite opposition from residents and calls for the matter to be referred to the Secretary of State. Bournemouth East MP Tobias Ellwood has asked local government secretary, James Brokenshire, to look at the decision, over concerns that the council’s decision-making could be biased. The proposal would see the construction of a new link road and junction, in the area around the A338 at Bournemouth Hospital. Part of this area is green belt land. Why is the proposal controversial? Green belt land is protected by a policy that controls urban growth. The idea behind this is to create rings of countryside where urbanisation will be restricted, and forestry, agriculture and outdoor leisure can prevail. Why replace your worktops when this stunning unique quartz, real stone overlay simply fits over your existing surface? Your kitchen will have a new lease of life with this beautiful quartzize worktop that’s fully fitted from only £1595.00. Just look at these amazing benefits: HYGIENIC - an almost perfectly smooth surface leaves nowhere for germs to hide. EASY TO CARE FOR - a wipe with a cleaner is all you need. DURABLE - scratch resistant and more than tough enough to withstand everyday knocks and scratches. TIMELESS - there is something about stone that means it never goes out of fashion. EASILY INSTALLED - in less than a day with no mess. Lines Open: Mon - Sat 9.00am till 6.00pm • Sun 10.00am till 4.00pm. Order your Quartzize worktop overlay during March 2019 and receive this stunning Essentials sink absolutely free. *Hurry, offer valid for a limited period only. Complement your new worktops with our luxury range of replacement kitchen doors. We wanted to look at how much the Bournemouth area has changed in the past few decades. We hope you enjoy this trip down memory lane! In 1969, Moordown resident Peter Dyson kept a detailed diary of his family life. If you’re interested in getting a snapshot of Bournemouth life in the 60s, visit www.bhliving.co.uk where we will be sharing regular updates from Peter’s diary. Spring into action this season! Spring is here, bringing daffodils, hot cross buns and the promise of brighter days. With the school holidays (and hopefully some nicer weather!) approaching, we’ve put together a guide to all the best things to do in Bournemouth, Christchurch and Poole. When: 8 April – 22 April 2019 Don’t forget: April is the last month that your canine friends are allowed on all stretched of the beach, so make the most of this while you can. Certain beaches stay dog-friendly all year at Alum Chine, Fisherman’s Walk and Hengistbury Head. Visit the baby animals at Farmer Palmers! Easter Sunday falls on 21 April, and will be marked by numerous services across Bournemouth, Christchurch and Poole. What is Purim? Purim commemorates the saving of the Jewish people from Haman, who was planning to kill all the Jews. It’s a joyful celebration, during which many Jewish people wear fancy dress and throw parties. What is Passover? Also known as Pesach, Passover is a celebration of the Jews’ liberation from slavery in ancient Egypt. Families will come together for a big meal (known as a seder), and will only eat bread that’s unleavened (matzah – see picture) during this time. If you’re looking to get involved with the Bournemouth Jewish community, Chabad of Bournemouth hosts a range of events. Visit www.bournemouthchabad.org for details of upcoming events. and seasoned with a generous amount of nutmeg, this was not unlike an egg custard tart – only so much nicer! I was so full by this point, but unable to resist a cheeky after dinner cocktail. The Don Pedro was a thick, sweet cocktail which I found similar to egg nog (or a really good milkshake!) – the perfect way to round off a lovely meal. I was slightly sad however, that I was unable to sample the biltong Old Fashioned! Win a meal for two, courtesy of Zim Braai Zim Braai is offering two lucky people the chance to dine for free at their beautiful restaurant in Ashley Cross. All you have to do is email competitions@bhliving.co.uk your name and telephone number, and tell us what ‘braai’ is the Afrikaans word for. Winner will be chosen on 30th May. Terms and conditions: Booking is subject to availability (please note that Saturday evenings would need to be booked a few weeks in advance). The winner is entitled to a 2-course dinner (either starter and main or main and dessert) and a bottle of house red or white wine. At our family run care home in Queens Park, Bournemouth, we take excellent care of the older retired lady or gentleman wanting the freedom from the burdens of running their own home. The case for homework Children’s lives should be mentally and physically enriching, but with enough time factored in for rest and leisure activities. I believe this is an issue of balance. A sensible amount of homework each evening helps children to put what they’ve learnt throughout the day into practice. It also encourages a love of learning, offers them a chance to share their work with their parents, and instils discipline and good time-management skills. Sarah Richards is a primary school teacher. She says: “I believe homework has many positive impacts. Parents will have more interaction with children, which will help them to understand what they are learning, and find ways to support them further.” She adds that recent research has shown that children are struggling to retain information, so any over learning can help to embed skills. It also keeps them off computers and technology. “Homework has been proven to help accelerate progress with basic skills. I honestly don’t see how homework could have a negative impact; it just needs to be pitched and delivered correctly.” Evenings and weekends provide valuable time to rest and recharge, socialise, and develop hobbies. But there’s nothing to say that homework needn’t be fun, nor that it can’t be scheduled to fit in around other activities. It’s the responsibility of both teachers and parents to ensure that children aren’t struggling. By talking to their children and looking for signs of anxiety, parents can get a sense of whether there are any issues that need addressing. They shouldn’t be afraid to raise any concerns they have with their children’s teachers either. Everyone learns at their own pace, and in their own way. If we recognise that each child is different and will therefore respond better to certain types of learning, we can hopefully find the best ways to engage with them. As long as we are listening to the needs and worries of our children, there is no reason to say that homework can’t be a beneficial and enriching part of their daily life. Homework – a good or bad thing for primary school children? The debate over whether children are overworked rages on, as we read more and more about our kids developing anxiety as a result of academic pressures. At BH Living, we were interested to speak to local people from both sides of the debate. Happy gardening The benefits of a happy and healthy garden They say that gardening can be beneficial for our mental health. It can also make great exercise – plus, when you’re done, you’ll have a beautiful space to relax and unwind in. But it’s not just us that can benefit from having a nice garden; we could also be helping insects, birds and minibeasts. There are plenty of ways we can turn our gardens into mini wildlife havens. Areas of long grass can be an ideal habitat for insects and minibeasts (for example, bees and butterflies). Top tip! Why not sow some wildflower seeds, to attract and nourish our valuable bee populations? Keep a look out for wildflower seed balls, or “bee bombs”, which contain a low-maintenance mix of seeds that bees will love! Trees and hedges can offer great roosting and nesting spots for birds and mammals, as well as shelter. What should I feed hedgehogs? Leave out tinned dog or cat food (not fish-based), and crushed dog or cat biscuits. It’s important not to leave them milk, as it will give them diarrhoea. Instead, leave them a shallow bowl of fresh water. Wildlife food suppliers also sell specialist hedgehog food. Garden Waste As well as visiting your nearest household waste recycling centre, you can sign up for the council’s garden waste scheme. What can I put in my garden waste bin? Dos and don’ts of feeding birds: During the warmer months birds require food that’s high in protein, especially when they’re moulting. Here are some things you can leave out for birds: Black sunflower seeds, pinhead oatmeal, soaked sultanas, raisins and currants, mild grated cheese, mealworms, waxworms, mixes for insectivorous birds, good seed mixtures without loose peanuts. Fruit such as soft apples and pears cut in half, bananas and grapes. If you were considering ditching your Tassimo coffee machine for something more environmentally-friendly, there is another option. Tassimo and L’OR coffee machine owners will already know that the pods can’t be put in the recycling bin. However, a company in Verwood is offering a solution to stop this extra waste ending up on a landfill. Point 2 Point Transport has a collection box outside their premises that is available 24/7. Once collected, the pods are sent to TerraCycle, a company that “recycles the non-recyclable”. When you love every day, it’s magic. One day our residents might be out and about visiting local sights, the next, taking part in our exercise classes or alternatively they may just choose to cook up a storm in the kitchen. Magic Moments is a carefully tailored programme of activities, happenings and fun. It’s specially created around what you have always loved doing, and want to keep doing. 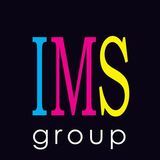 Of course, we also introduce you to new ideas as well, to inspire and energise you. In fact, our dedicated team bring award-winning, innovative thinking into every aspect of every day of the extraordinary care we provide at Meyrick Rise. Stephen Bishop Contemporary oil paintings at the Luna Gallery, near Poole. Open 11a.m. - 4 p.m.
First Time Ever A Memoir by Peggy Seeger (Faber and Faber 2017) This is a wonderful read, full of the energy and enthusiasm of Peggy Seeger herself. It’s her life, intimately told, warts and all, just as though she’s sitting in the room with you. What it’s not, is a tidily constructed biography through the eyes of a third party. Born into a musical family in New York City in 1935, what else could Peggy do but follow in the family footsteps? Her father was a musicologist, her mother a composer. Her brothers, Pete and Mike, were both renowned folk and protest musicians. Her childhood years are unconventional by the standards of the time. Father Charlie’s communist past, and mother, Dio, being the first woman to win the Guggenheim Fellowship for composition, means that their priorities are not always quite the same as their neighbours’. After college and the death of her much-loved mother, Peggy takes off for Europe. She rattles around, playing music with a bunch of fellow performers across Germany, Poland and Russia, which are still suffering the stresses of the post-war years. They even make a brief foray into China! Eventually, she settles in England, having met the traditional musician and writer Ewan McColl. At the beginning, their life together is complex, since McColl is already married. But despite some heartaches, they do spend many years together, writing, performing, collecting and preserving the songs and stories of the British Isles, while bringing up their own family to carry on the tradition. Though now in her eighties, Peggy is still performing. Even though, as she admits herself, her energy is not what it was – she is still putting her heart and soul into her singing and playing. If you are a music lover – or even if you aren’t! – this is a book brimming with that heart and soul. Review by Barbara Donne. (pictured right). Barbara is the winner of this issue’s Book Worms competition. Congratulations, Barbara! We loved reading your review. Here at our award winning pre-school, we pride ourselves on being a friendly, happy and safe environment for children to learn. ENTERTAINMENT Poole actor with Noė˙l Coward connection, to star in the playwright’s most popular play In 1934, a young child called Brian Lyons was orphaned. The child of theatrical parents, he found himself living at the Actors’ Orphanage, which was funded and presided over by legendary actor and playwright, Noël Coward. Christchurch Food Festival set to get mouths watering The ever-popular Christchurch Food Festival weekend is returning on Saturday 11 and Sunday 12 May. Offering demonstrations, local delicacies, and a taste of food from around the world, the event attracts over 70,000 visitors annually. Christchurch High Street will become the Street Market – a culinary wonderland filled with stalls selling a huge range of all things foodie. The quay will provide the setting for the Festival Village. Here, visitors can enjoy free-to-view cookery demonstrations, cocktails, Kids’ Kitchen, entertainment, and Dorset Food & Drink marquees. World’s first disabled-led ensemble celebrates 1st anniversary BSO’s ground-breaking ensemble, BSO Resound, celebrated its 1st anniversary recently. The BSO made history in 2018, by becoming the first orchestra in the world to form a professional disabled-led ensemble. Anchors aweigh! Poole Harbour Boat Show returns in June From Friday 7 until Sunday 9 June, visitors will get to enjoy a spectacular showcase of yachts and motor cruisers, tall ships, marine equipment, water sports gear and clothing, live music and fireworks. Six months after its creation, BSO Resound became the first disabled-led ensemble to ever perform at the BBC Proms. The show enjoyed a successful 2018, and continues to be the largest free-to-attend boat show on the south coast. Visitors will be able to watch waterborne demos, with the RNLI, Border Force and Poole Harbour Commissioners putting on displays to show what their work entails on a day-to-day basis. More details will be available nearer the time, but it’s been confirmed that the show opens 10am-6pm, with pontoons open until 5:30pm. You can find out more about BSO Resound here: www.bsolive.com/ ensemble/10046/bso-resound/ Their next concert is on 13 July. See our What’s On guide for more information. this summer Here at Bournemouth Water we’re passionate about using water wisely – and we do all we can to encourage our customers to do this too. We all use water without really thinking about it. Every time we turn on the tap, flush the toilet or put the washing machine on, we’re using a precious and limited resource. The good news is that by following a few simple measures we can easily cut water wastage, save money and protect the environment. This is particularly true in the garden. It’s easy to maintain a blooming garden while being water wise! Always water your garden in the early morning or late afternoon as this is when evaporation rates are lowest. Why save water? If you pay for your water through a meter, your bill may go down. Less water is taken from the rivers Stour and Avon, which helps our local wildlife during dry spells, when water sources are not being replenished. Use mulch and bark in your garden, which can help reduce evaporation by up to 75%. Water butts are a great way of catching and storing rainwater – which is free! Use your rainwater for watering the garden, washing the car, cleaning paths and windows and topping up ponds (fish prefer rainwater). Lots of people use bath or dishwater on their gardens. This is a brilliant idea – but remember it should be used immediately and never on fruit and veg. Adjust your lawnmower to cut your grass longer – this will shade the roots from the sun. It’s okay if the lawn goes brown, this helps it to build up resistance and recover immediately after rainfall. Leave grass cuttings on the lawn – they will form a mulch that protects and feeds the grass. Sprinklers can use as much as 1,000 litres of water per hour! That’s more than a family of four uses in a whole day. Use a watering can or hose instead. If you do use a hosepipe, attach a trigger nozzle. This will halve the amount of water you use and help direct the water to the roots of your plants. Don’t forget to turn off at the tap when you’re done. Add water-retaining gel to the lower half of compost in planters and hanging baskets. What’s On This Mother’s Day, why not take mum for a walk around Brownsea Island? ARTICLE TITLE If you’re coming to a show, why not make a night of it? Enquire about pre-show dining when booking your tickets. ...Bring me sunshine it does, bring me laughter most definitely! Are you curious about other cultures? Do you have one or more spare rooms? Are you interested in boosting your income?